Finished this one just in time to present it to my mom on Mother's Day. She seems thrilled, or at least is doing better at faking it than with previous gifts! Note: It should have another layer of "mortar" at the top and bottom, but I forgot to add that. I also cut the bricks 1/2" short, they are 10" by 5" instead of 5.5" because I always mix up numbers after I look at my computer and run upstairs to sew. Oh, and one really ugly shot. 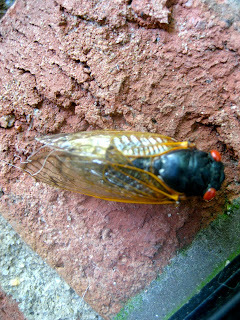 These are the 13 year cicadas that are louder than most heavy machinery (and there seem to be about 64,547 of them just in my backyard). They are really freaky looking with those orange eyes. My neighbor returned home today from a long trip and thought my house alarm was going off because it was so loud and she had no idea about these little critters. Luckily another neighbor clued her in before the police were called! It's beautiful Courtney! Love that quilt. 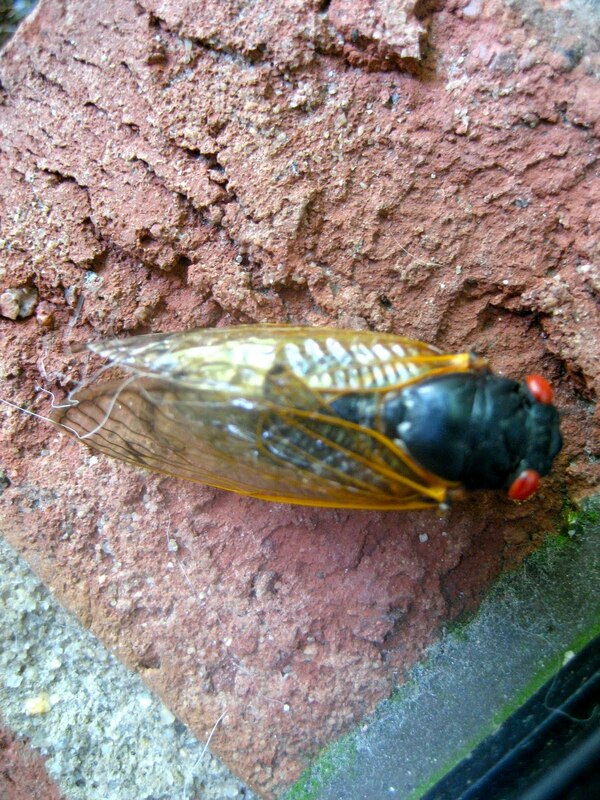 And PS: Those cicadas last night were so loud at my house I thought our AC was breaking or the lights inside were buzzing- took me a while before I figured out what they were! They really are out of control!